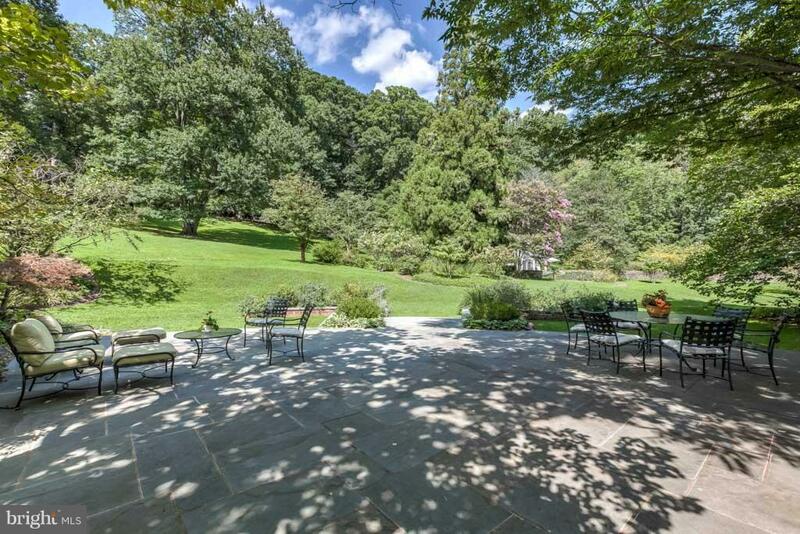 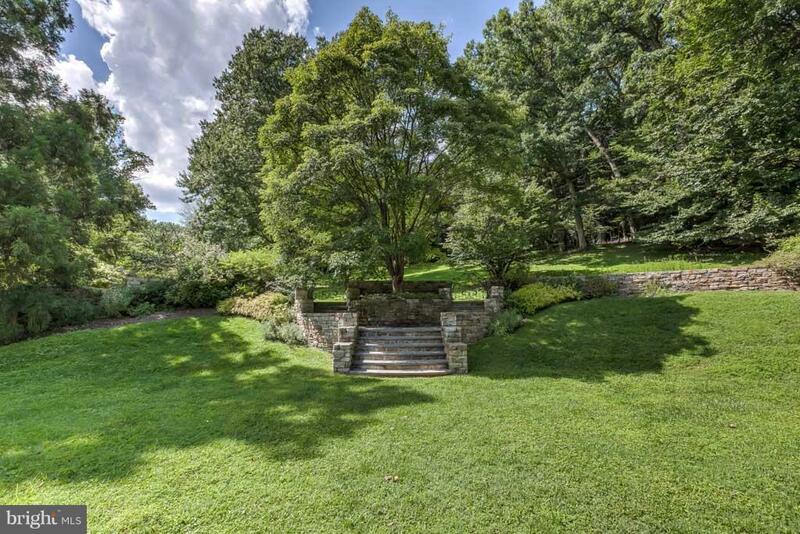 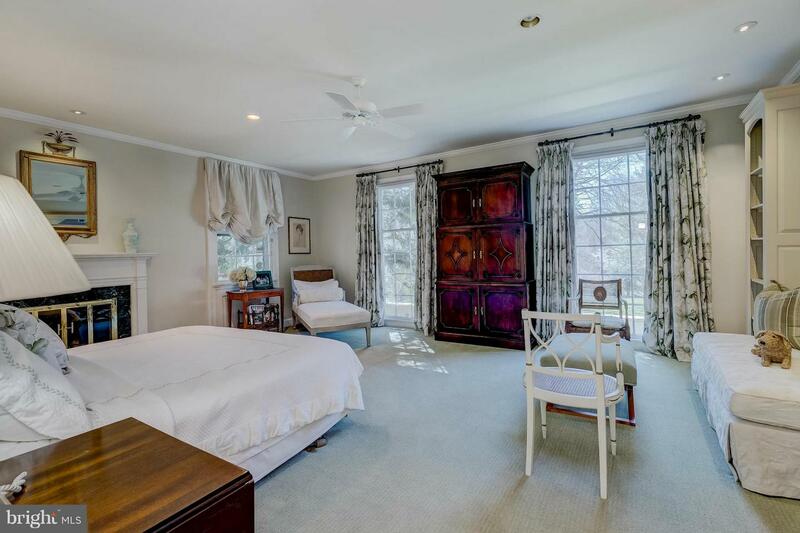 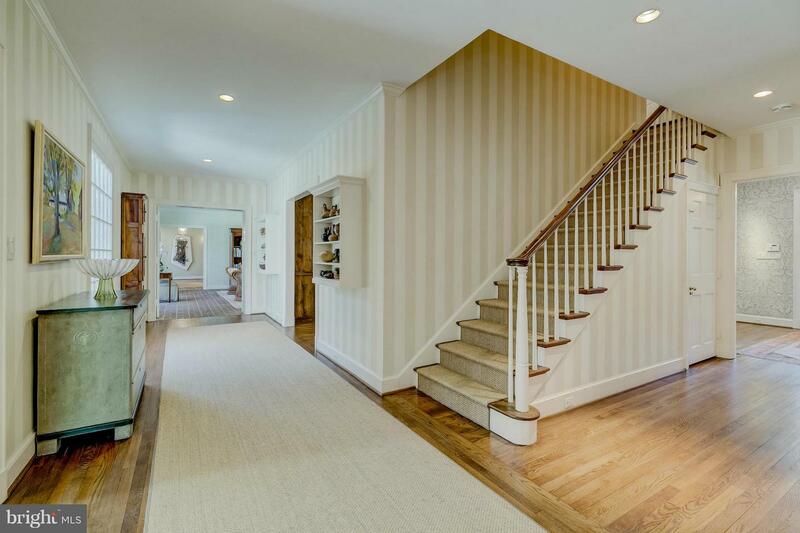 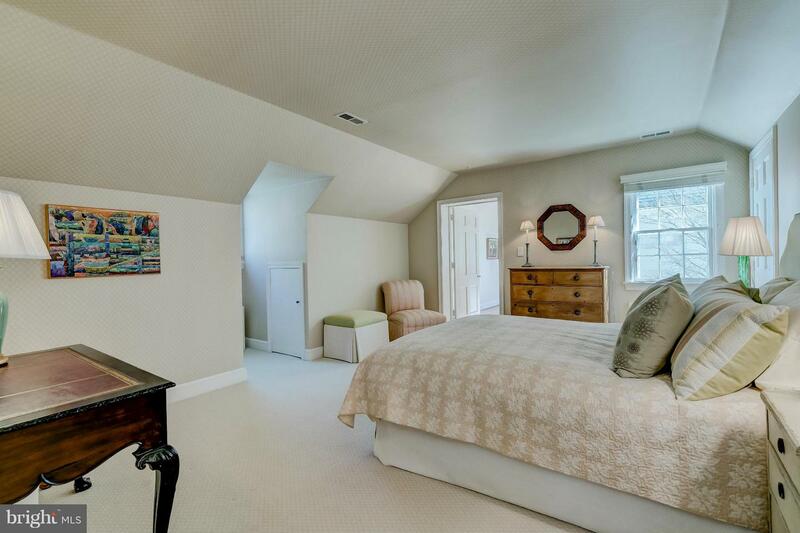 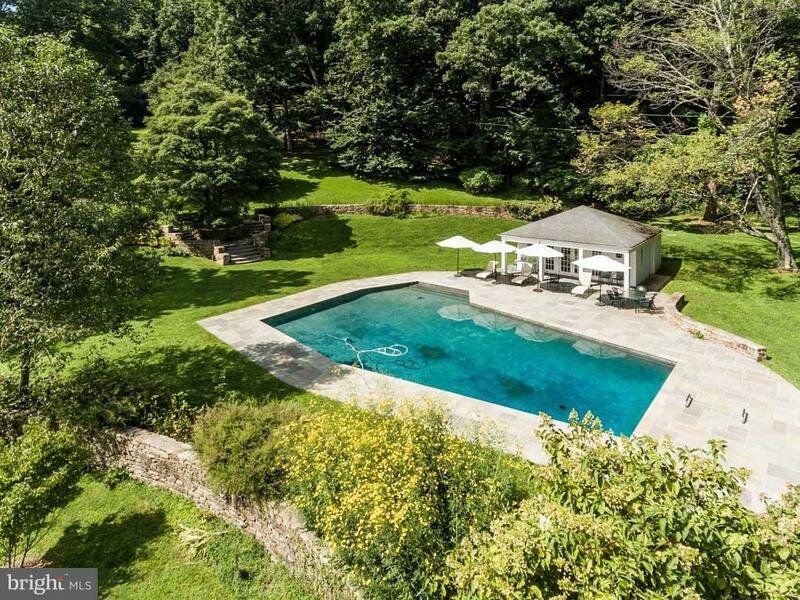 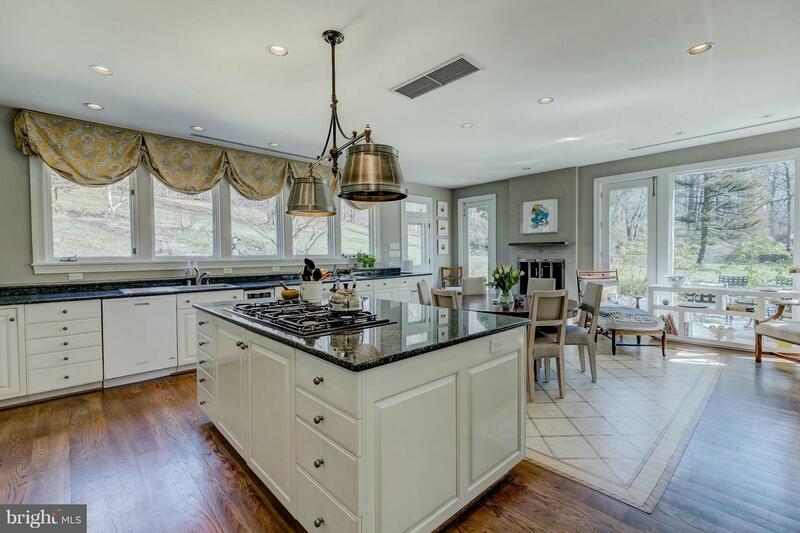 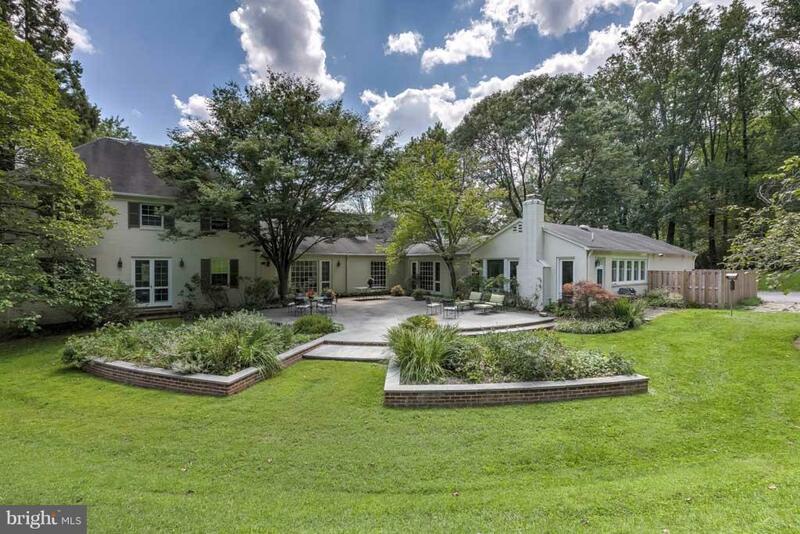 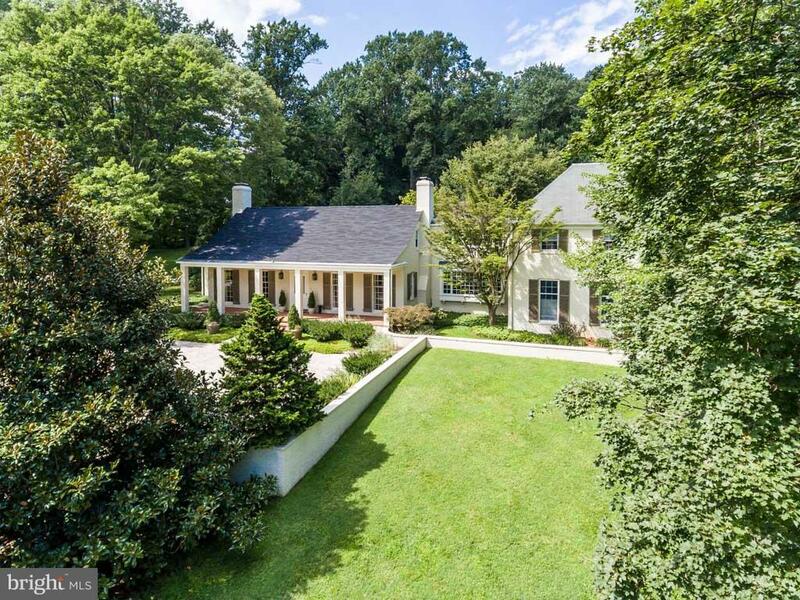 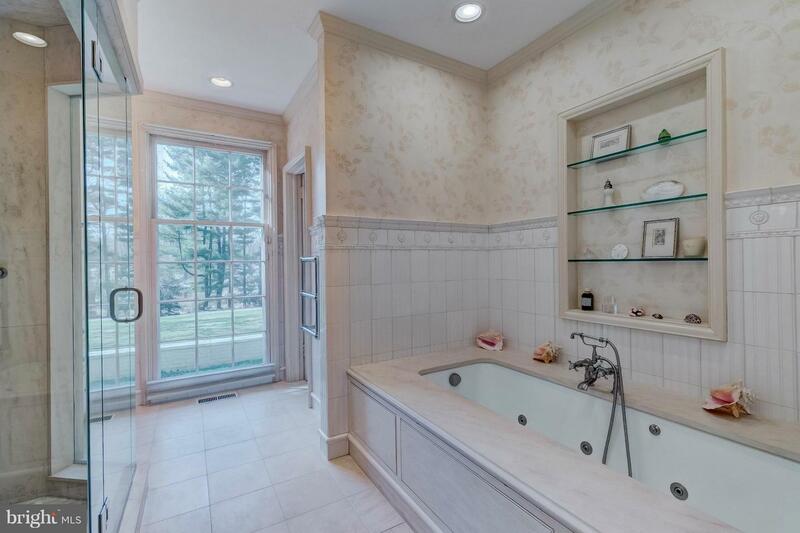 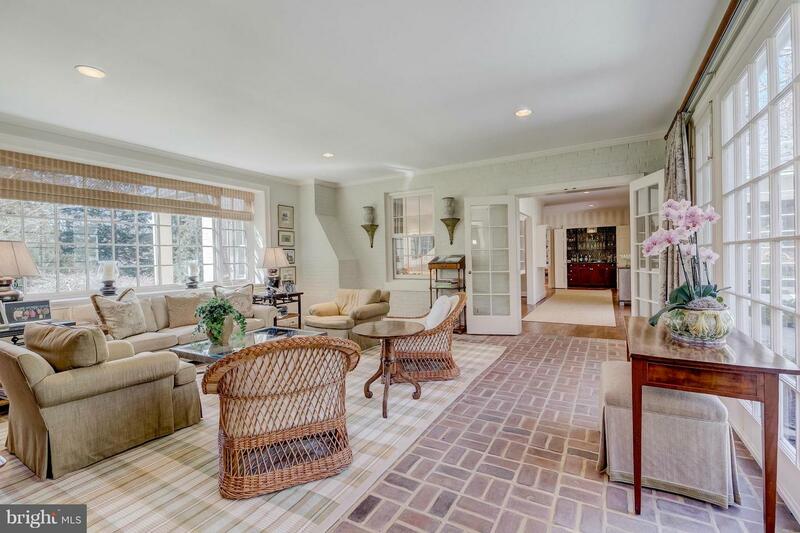 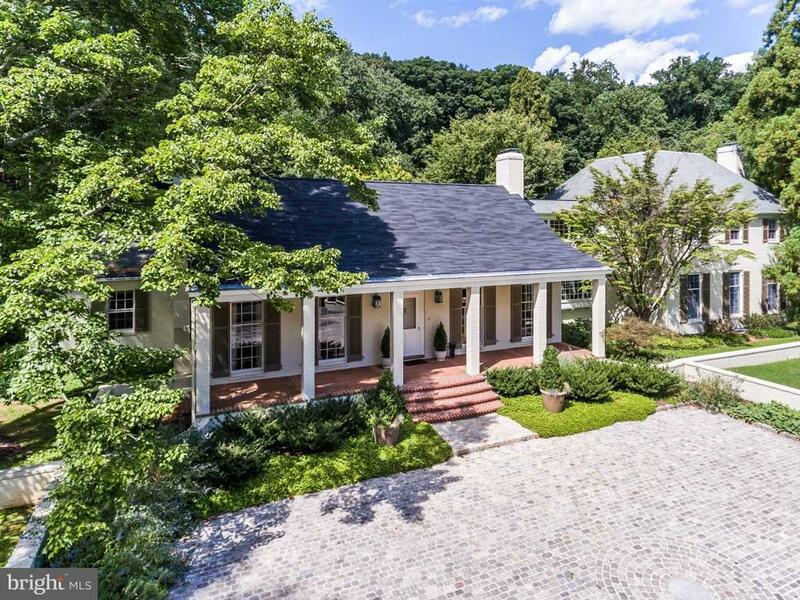 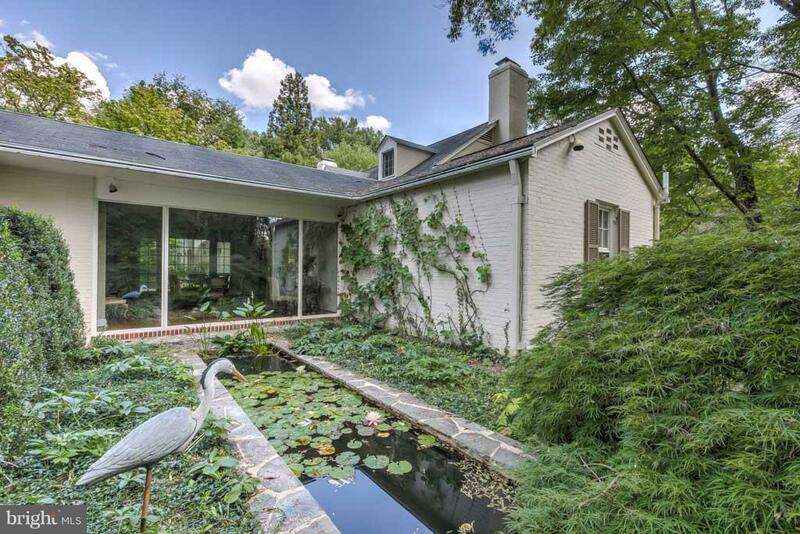 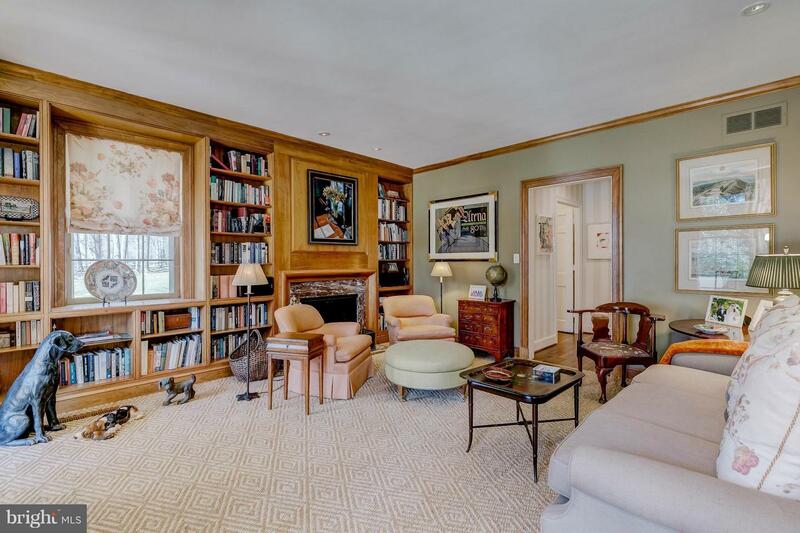 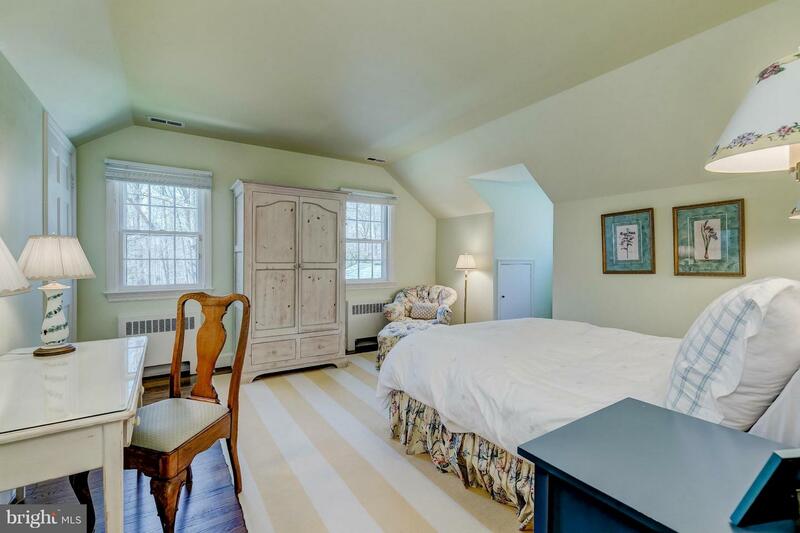 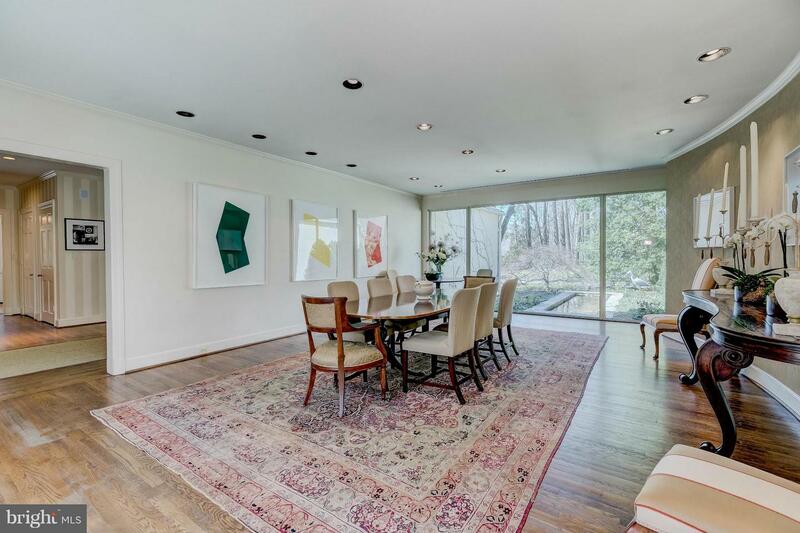 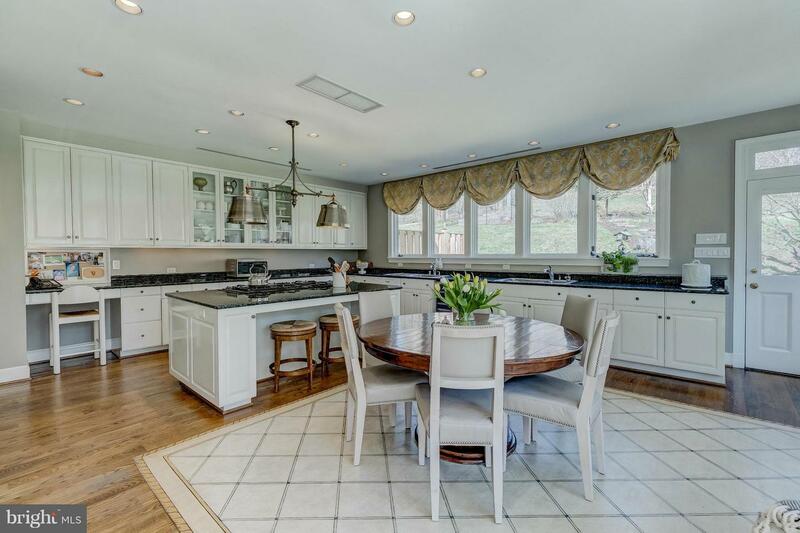 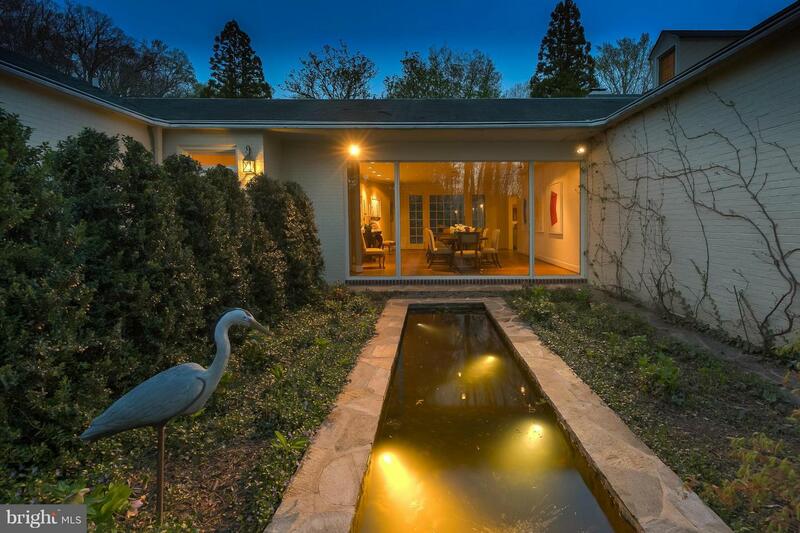 Privately nestled on 4.49 acres in the heart of Greenspring Valley. 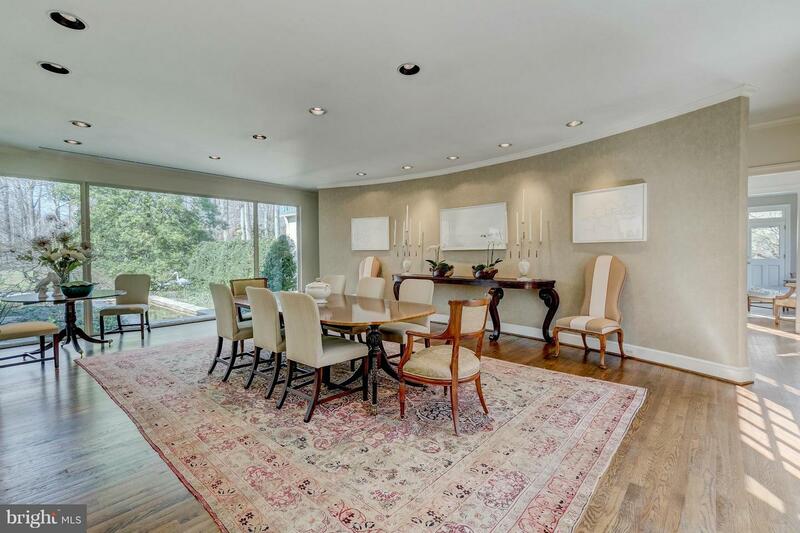 Grand formal rooms & intimate gatherings spaces. 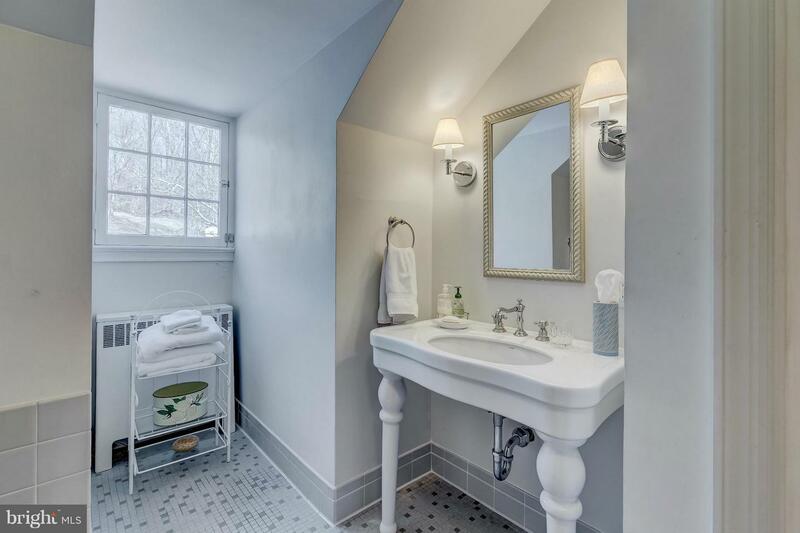 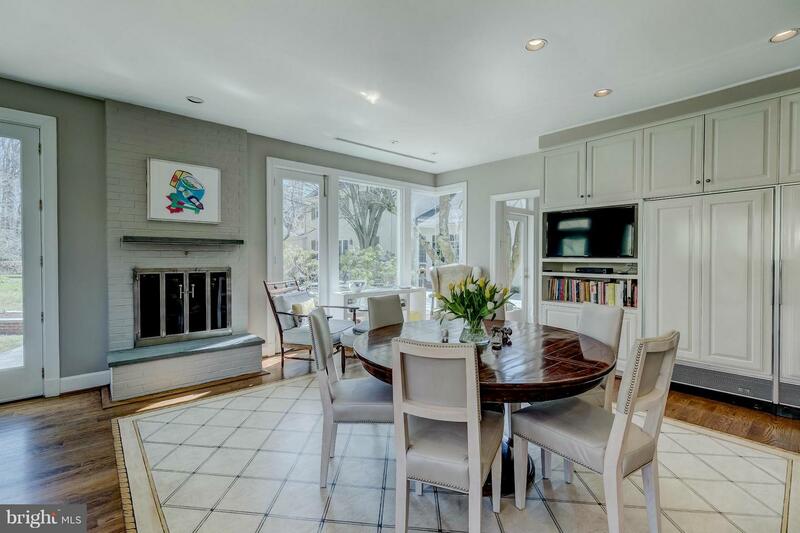 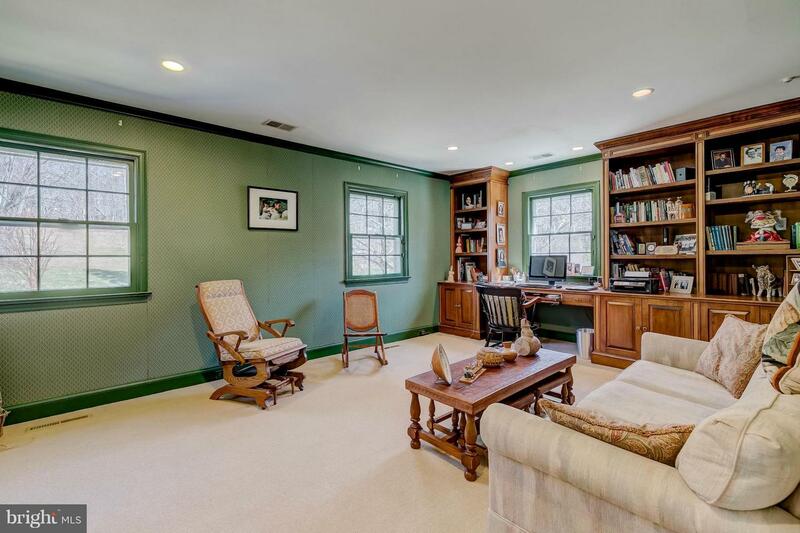 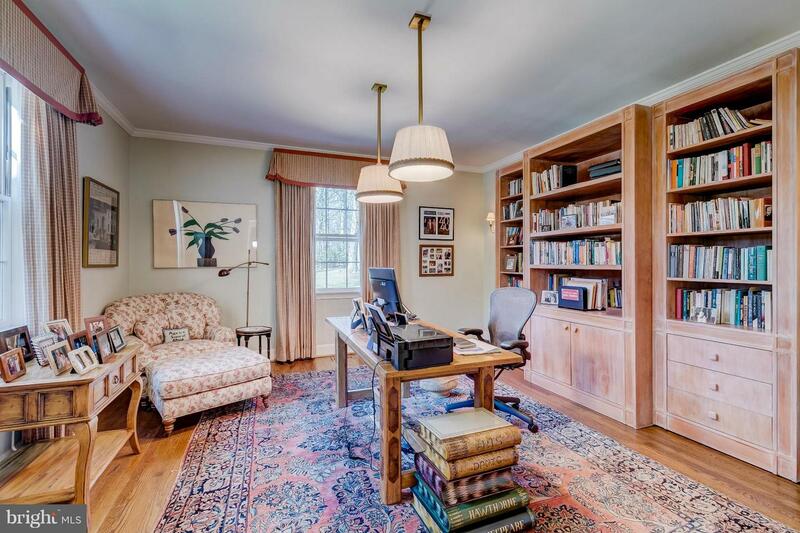 Formal LR, banquet-size DR w/window wall to water garden, Lib, Study, SunRm, gourmet Kit w/FP & Butler's Pantry. 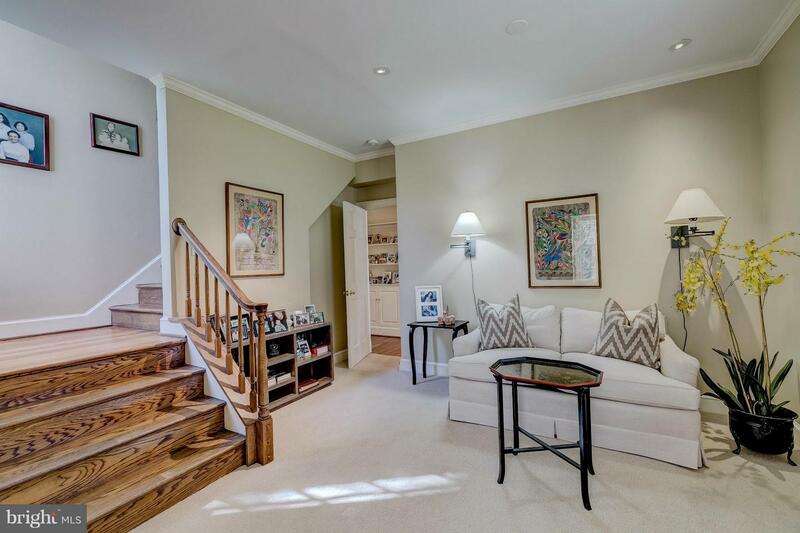 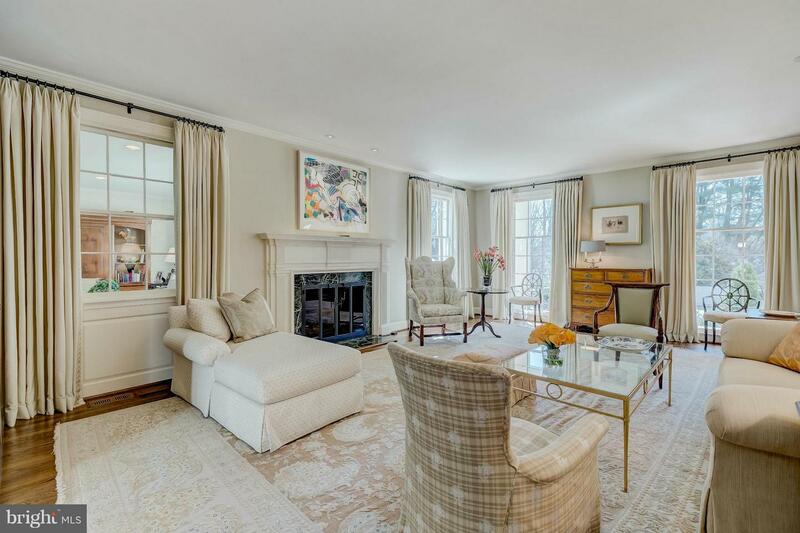 Sumptuous 1st floor MBR ste w/SittRm & 2 BAs. 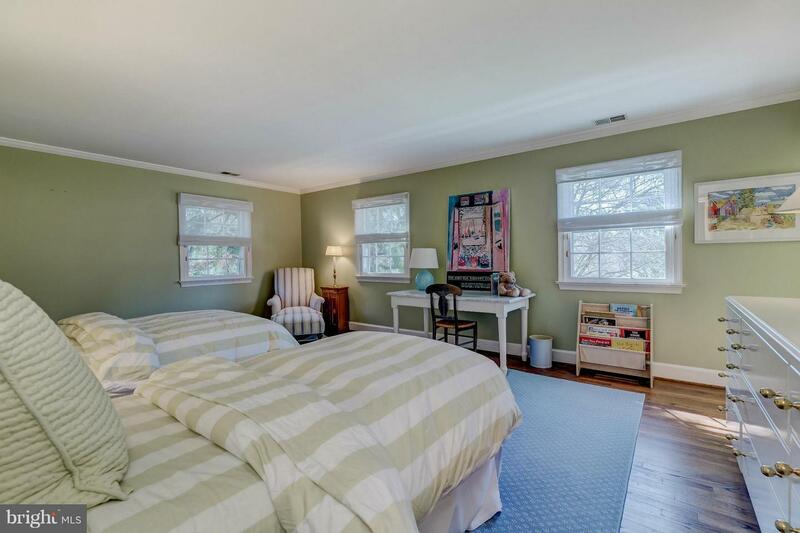 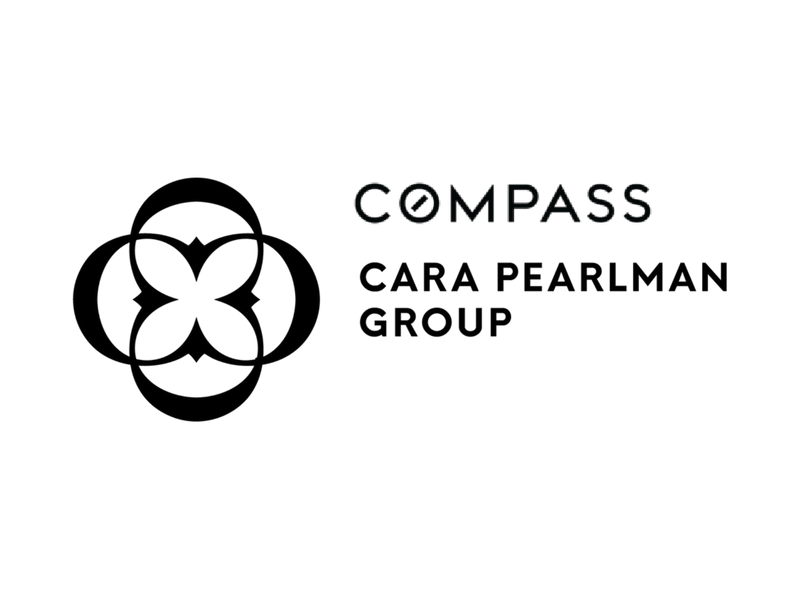 5 add'l large bedrooms, 5FPs, LL RecRm. 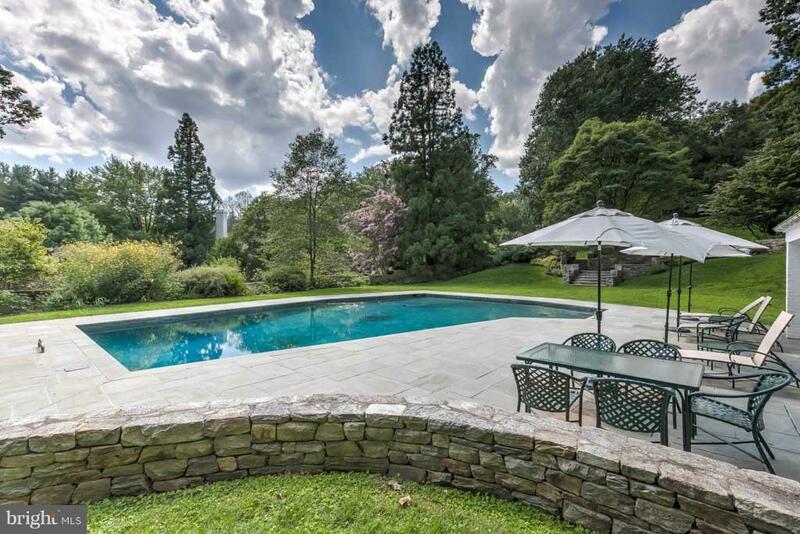 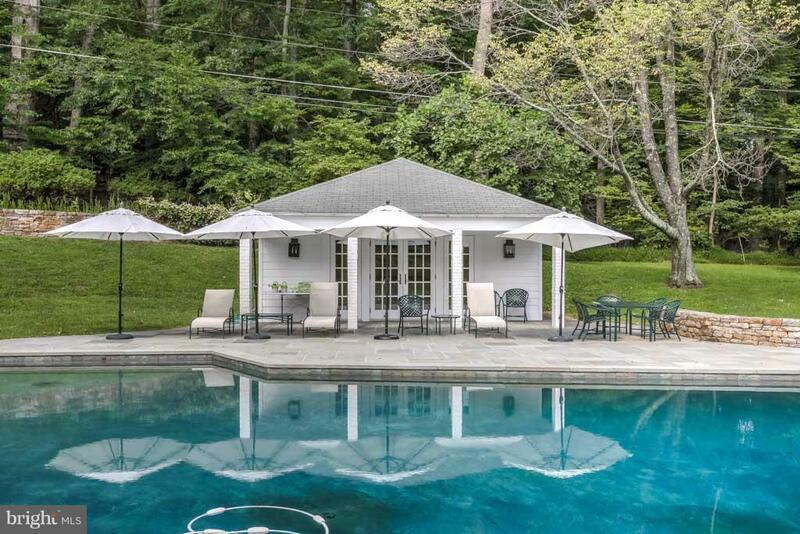 Bluestone Terrace, Pool & Pool House, beautiful landscaped grounds & specimen trees.